Cloud is the latest buzzword in the digital world, and if you are not using it already, chances are that you are missing out a lot. 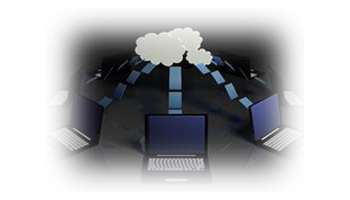 Though there are several cloud computing companies in Noida, but the decision to hire one is not a walk in the park. There are numerous aspects that you have to consider before zeroing in on a good cloud service provider. 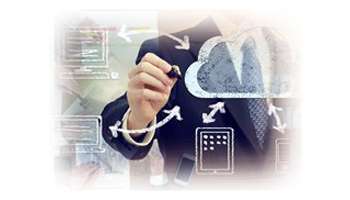 And, one of the main facets that you should look for is the cost and scalability the cloud computing companies in Noida are ready to offer. Moving your business operations to the cloud not just streamlines your workflow, it also strengthens the backbone of your organisation, as it leaves you with a lot of liquid funds. Creating an IT infrastructure for your organisation requires a lot of investment. From expensive servers, network storage and backup systems to disaster recovery systems, cooling and power systems, you need a lot of money to acquire all of these. Additionally, you also have to invest in purchasing the software that your business needs. Over and above this, you require proper space to hold these expensive and heavy machineries, and not to forget a team of IT professionals to carry out day to day operations. Add all of them and you are facing a substantial investment upfront. So how do you save on these expenses? When you come in to the fold of cloud computing from vStacks Infotech, you don’t have to pay the set up cost, you also save on the monthly overheads and the all substantial investment cost. And, this translates to huge amount of savings, which you can use to propel your business interests. This is how your business benefits when you move your operations to a safe cloud from vStacks Infotech. When your IT team is relieved of the day to day operations it means that they do not have to spend their time and energy on in house deployment and maintenance of IT infrastructure. This is an expensive affair, and therefore you save a lot of money in the long run when you move your operations to the cloud. Additionally your IT team can contribute to more important strategic tasks and add further value to their work. All this improves your business workflow and you also are able to save a lot of money because the onus squarely is on vStacks Infotech. And, we do not believe in letting our customers down. Any in house software and hardware setup requires constant upgrades, which again is not that easy on your pocket. But, when you move to the cloud it becomes your vendor’s responsibility. You keep getting the latest hardware and software support. With cloud services from vStacks Infotech you can leave all your upgrade worries to us, and keep concentrating on the work at hand. When you use obsolete technology it can dent your business interests in a big way. You of course do not want to lose on the opportunity what the latest technology has to offer. With the latest cloud technology from vStacks Infotech, you keep your business operations in top gear, increase your employee’s efficiency, thereby you can improve your revenues, the bottom-line of every organisation. 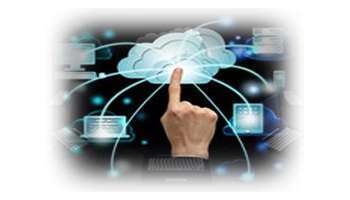 Moreover, other than the cost factor, scalability is another important aspect that you need to consider before hiring a cloud service provider. When you do the business the way it is supposed to be done, then growth is a sure shot by product. As you grow, your hardware and software requirements would also grow, and that is the reason why you need a service provider who can factor in scalability as well. At vStacks Infotech, you can rest assure that we will take care of all your future needs.